Japan is seen as an ultramodern tech giant today, and not many people really doubt their military power. That was far from the case in the late 19th and early 20th centuries. After a long period of international isolation, Japan finally opened itself up to the world and realized that they were behind the times. Still using medieval technology the Japanese had the opportunity to start fresh, by opening up to the world. They took full advantage of the various western nations to shop around for the best technologies and especially military hardware. 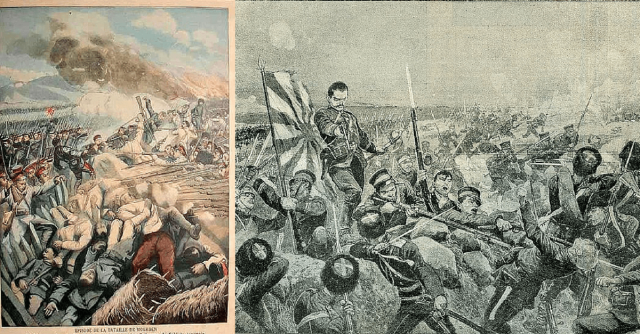 The Japanese also sent advisors to learn army tactics and training methods from the Prussians and other European powers. Perhaps the most important result of this policy was the wholesale imitation of the British navy. The new emphasis on training was taken to heart by the new and growing Japanese navy and crews drilled constantly on their newly constructed modern naval fleet. Battleships were constructed with the latest technologies including better reinforcements for the hulls and more accurate targeting systems. Though it may sound trivial, many of the larger Japanese guns had omnidirectional reloading meaning they could continue to point in any direction and continue firing. Many other ships built just prior had to face their guns a particular direction meaning an attack had to halt while the turret turned and after reloading would have to reacquire a target. Russia was an established world power by the early 1900s and was confident when tensions with Japan broke into an all-out war over ownership of the Korean Peninsula. Japan had been seen as an odd and backward country, and though they might have some new technology they were assumed to have little ability fighting modern wars. The Russians had control of Port Arthur to the West of the Korean Peninsula as well as the port at Vladivostok to the northeast. The Japanese targeted the more isolated Port Arthur by land and sea. One of the first engagements of the war was a surprise Japanese torpedo attack against the Russian ships in the harbor, causing minor damage, but greatly lowering Russian morale. 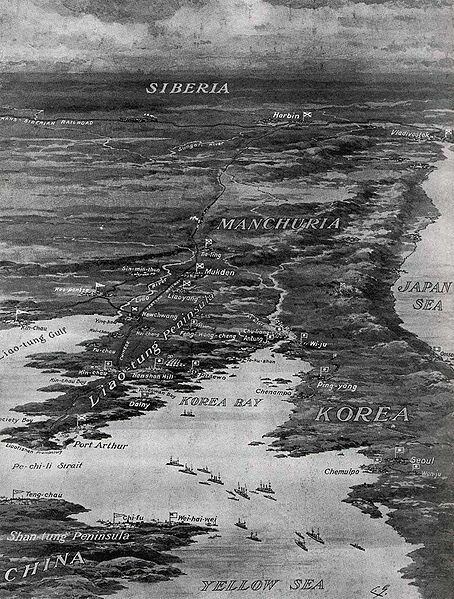 Russian pride was further damaged on land as the Japanese army quickly swarmed through Korea, overwhelming Russian forces. The Russian navy tried and failed to break the naval blockade, actually losing a battleship and their commander Stepan Makarov, to a mine. Too demoralized to go on the offensive, the ships sat as the Japanese army pushed to an elevated position just outside of Port Arthur. From here the Japanese land artillery that had a longer range than the Russian battleships and shells soon poured into the port.